Here Is What To serve With Pizza No More Guessing, This Is It! Pizza, Yum! Can you ever get enough of this delectable piece? I don’t think so. Pizza is one dish that is so unique, actually, I think I should use the word satisfying, it is tasty, flavorful, colorful, and the list goes on. But then again, people are left wondering with what ways to pair pizza with befitting side dishes without it looking sloppy or getting the “what the hell is going on here” look. So that’s why we are here today, we are going to look at some beautiful pizza types and also go through some dishes to go along with them. That way you don’t have to go through the stress of picking them out, all you need to do is sit down and learn, let’s go! This is widely regarded as the first original pizza; it was the first of its kind to be made out of Naples in Italy before other brands started to make the rounds within the US. The ingredients used in making typical Napoleon pizza are fresh which usually include basil, tomatoes and olive oil, tomatoes are usually not excluded no matter the way napoleon pizza is modified and hardly includes much toppings this means that it is prepared plain. Making the perfect Napoleon pizza requires some degree of expertise and practice as well, for example, the way the temperature is while making your dough determines to a large extent how it turns out. It is best to learn and practice a while before actually making it to serve, for a lovely Napoleon pizza recipe, you can try out this one by SBS, the result is very appealing. This kind of pizza is known for its thick crust. It also originated from Italy and has been on the menu as far back as the early 1930’s. Before this period, sfincione pizza was the major kind of pizza known in Sicily. The sfincione pizza has more resemblance to bread rather than pizza as we know it now, this is due to the thick crust and rectangular shape. The sfinicone started its spread from Palermo, a typical sfinicone recipe has toppings which include onions, tomatoes and lots of cheese with sauce. For a typical Sicilian pizza recipe, try out this one by Brown eyed baker. It has a step by step description and it is unique in taste. The perfection of this style of pizza lies in the way it is baked. A pan rather than pizza oven bricks is made use of for the Greek pizza. 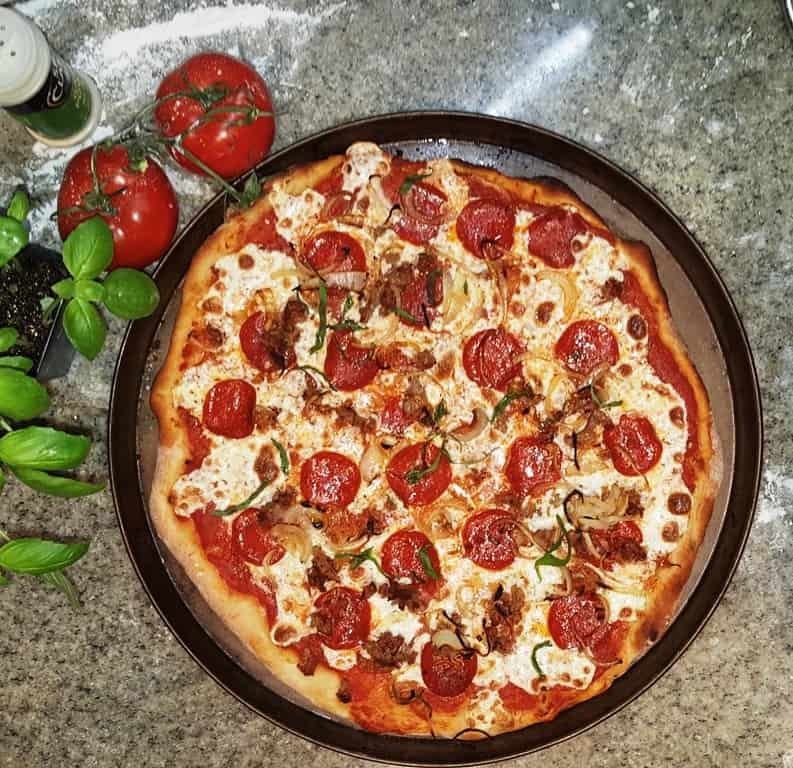 The major characteristics of these pizza include the amount of oil used on the pizza pan which is usually much, this with the rest of the preparation process results in a very soft and chewy crust that is quite different from the Sicilian pizza. The type of toppings used is not relevant in the Greek pizza as any kind of topping will suffice but the crust has to remain soft and light. The sauce used for this pizza is also usually high in quantity. 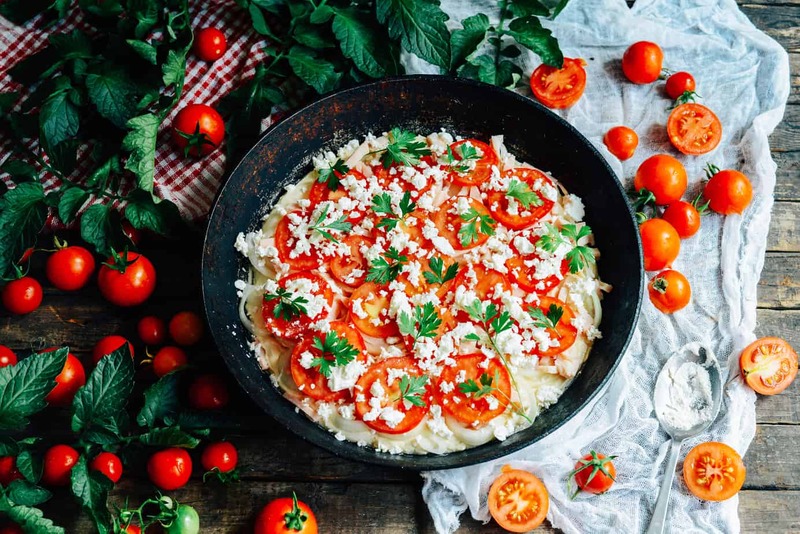 To try out this Greek pizza, try making use of this recipe by Cooking classy, although the toppings are mostly vegetables and fruits, it is very tasty and the look is so inviting, give it a try! Having gone through three popular pizza types, let’s look at some side dishes which will go with any kind of pizza you intend preparing. Mouthwatering Side Dishes To Go With Any Kind Of Pizza! Potatoes are always and always so nice and tasty if prepared the right way and the ranch potatoes are not excluded especially if you make use of a recipe like this one by Daisy brand. The bacon bits and the green onions gave the potatoes a different flavor, a few pieces of this with a piece or two of pizza is simply yum. Aside from the fact that this is a salad, it is a healthy combination with a dish like pizza depending on the amount of toppings on it. This chopped salad adds a beautiful color burst to the pizza serving. 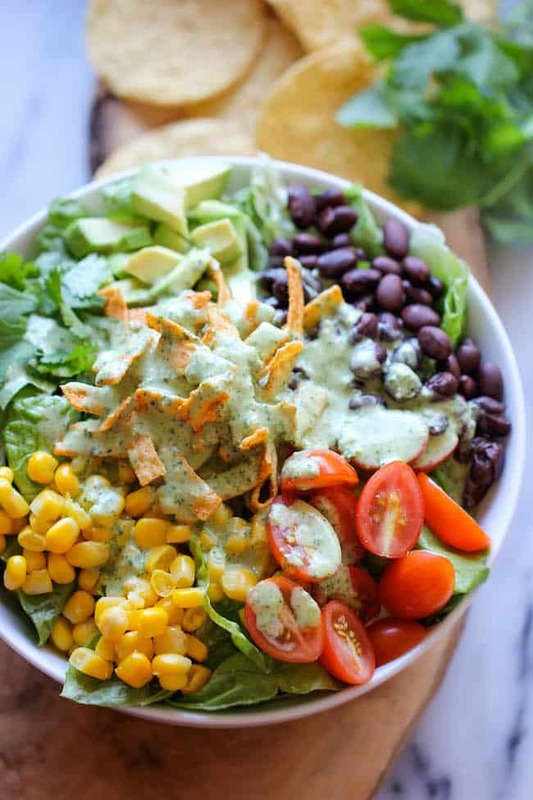 This recipe by Damn delicious is just the one to go for, the cilantro lime dressing used with it made it exquisite. This may look surprising to some but the combination of these two is actually delicious. I got this lovely recipe by Forkvsspoon and the result was more than what I thought it would be. A few scoops of the skillet street corn beside a slice of homemade pizza is a blend to try out. Don’t forget you can always add more ingredients if you are not satisfied with the plain ones used in the recipe, being creative is allowed. Marinated mushrooms are so lovely and always in vogue, the thing with it is getting the right recipe to go with a dish like pizza and this one by Natasha’s kitchen did it much justice. Another thing that had me about this recipe was how easy it was to get it done and ready. If you intend making your pizza from scratch, this will save you the time for a side dish. Three main things make up any pizza, sauce, dough and of course topping, so when deciding which pizza type to prepare or go for, use these three parts as your basis for the right decision. Depending on the type of pizza you intend making, know that there are a lot of different pizza recipes you can go with and you can re-invent any of them the way you want. Also remember to choose a side dish that compliments the pizza you are going with rather than making it look too stuffed up. If you have tried out any side dish combinations with your pizza that you will like to tell me about, please do so, and you can include your comments, questions or share this article with your friends.